You are currently browsing articles tagged Afghanistan. With no air or artillery support, the Marines of Embedded Training Team 2-8 were trapped deep in a kill zone in eastern Afghanistan. Their radios worked only sporadically, and dozens of insurgents fired on them repeatedly from three sides. At least twice, a two-man team attempted to rescue their buddies, using an armored vehicle mounted with a .50-caliber machine gun to fight their way toward them. They were forced back each time by a hail of bullets, rocket-propelled grenades and mortars. An enemy bullet hit the vehicle’s gun turret, piercing then-Cpl. Dakota Meyer’s elbow with shrapnel. He shook it off, refusing to tell the staff sergeant with him because he didn’t want to make the situation worse, according to U.S. Army documents outlining a military investigation of the ambush. What he did next will live on in Marine Corps lore — and, some say, should earn him consideration for the Medal of Honor. After helicopter pilots called on to respond said fighting was too fierce for them to land, Meyer, then 21, charged into the kill zone on foot to find his friends. 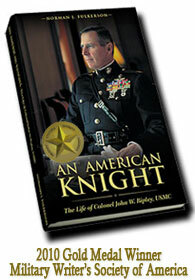 Under heavy fire, he reached a trench where the pilots had spotted the Marines, by then considered missing. He found Johnson, 31; Staff Sgt. Aaron Kenefick, 30; 1st Lt. Michael Johnson, 25; Navy Hospital Corpsman 3rd Class James Layton, 22; and an Afghan soldier they were training — all dead and bloody from gunshot wounds. They were spread out in the ditch, their weapons and radios stolen. To read the entire story of this heroic Kentuckian click here. This is a true sign of a hero: a person who does not realize the grandeur of the deed he has accomplished. I happened to stumble across this article while driving through Kentucky in the Louisville Courier Journal, which carried the story. It obviously gives me no small amount of pride that a fellow Kentuckian could accomplish such a magnificent deed. but I could not pass this story up, since it is along the same lines as the last post about the Catholic Marine.There are those who might consider such religious practices as something incompatible with heroism and the military life. However, true men, see the value of prayer, even AND MOST ESPECIALLY FOR WARRIORS. Colonel John W. Ripley, to whom this blog is dedicated, screamed “Jesus, Mary, get me there,” when he saw his strength fading under the Dong Ha bridge. He did so because he saw the value of calling upon God (for Whom it is child’s play to create universes) in his hour of need. Colonel Ripley received the Navy Cross for his heroic efforts but readily admitted it would not have been possible without Divine Assistance and was not ashamed to say so in public. This story is about a British Soldier named Glenn Hockton, who likewise attributes his survival, after two near death experiences in war, to the fact that he carries the rosary. On one occasion he was shot in the chest and his parents still have the bullet which lodged in his body armor. More recently his mother described how he felt like he had been slapped on the back. When his rosary fell to the ground, he reached down to pick it up, only to realize he was standing on a land mine. The ironic thing about this story is that Glenn’s grandfather, who fought in WWII, also attributed the rosary to saving his life, when he miraculously survived an explosion that killed six members of his platoon. 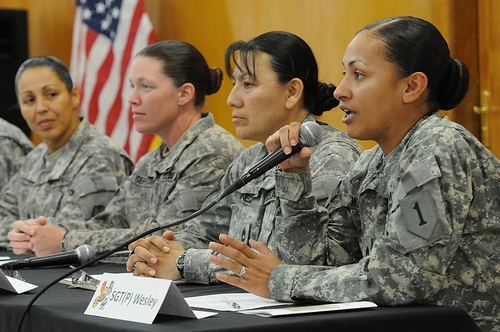 If you have not done so already, read the rest of this story by clicking here. Similar stories have been documented in the articles No Greater Love and The Ideal Soldier. 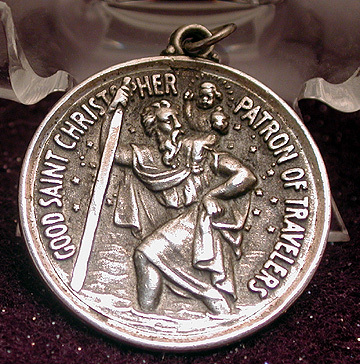 Those who wear St. Christopher's medal (shown here), do so because he is the patron Saint of safe travel. However, this Marine had a little help, from above, and from a very good mother. July 25–Lt. 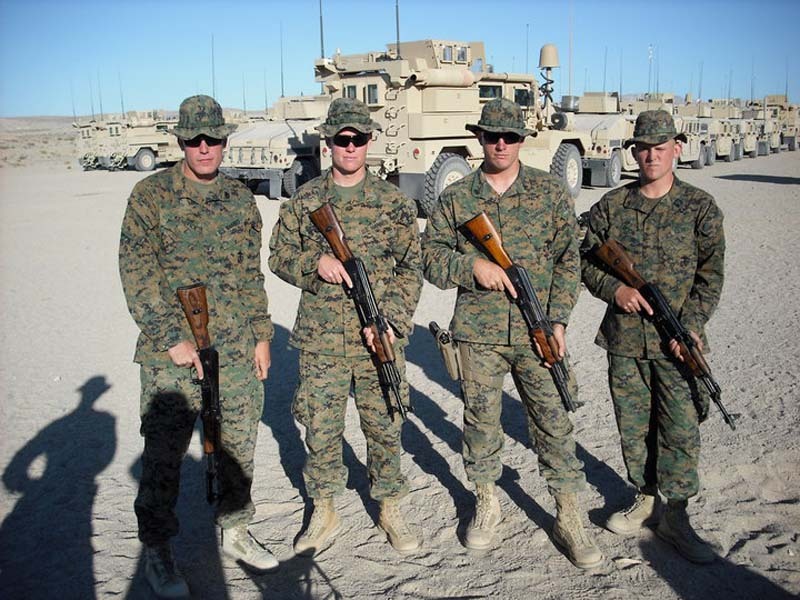 Nathan Jeffcoat, of Orrtanna, didn’t always want to be a U.S. Marine, but it’s safe to say it’s something that runs in his blood. After being hit by an improvised explosive device, IED, in Afghanistan on June 30 and traveling back to the states, doctors went looking for him in his hospital room to do physical therapy, and the platoon commander in the 3rd Battalion, 6th Marines was nowhere to be found. Turns out, in true commander fashion, he had escaped and made his way through a quarantined hospital area to check on one of his men who had been injured two weeks before him, and was still in the hospital. 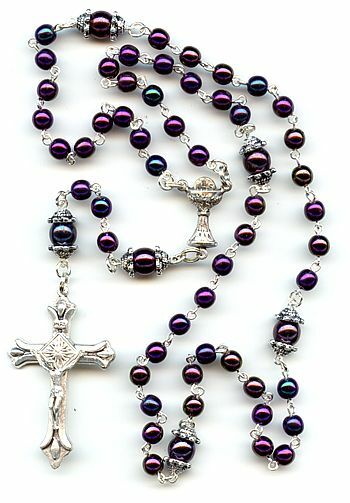 Devotion to the Holy Rosary has saved many a soldier in battle. “He’s really, really lucky,” [his mother] Sue said, as she watched her son. She breaks the eye contact to say she tells him all the time it’s because of the number of times she said the rosary for him, and all the prayers. When he came back, the only things he had on him where his dog tags, watch, St. Christopher’s medallion and his rosary. “Pray pray pray,” Sue Jeffcoat said. That’s how they got through this, and that’s how they’ll get through it during the next tour. 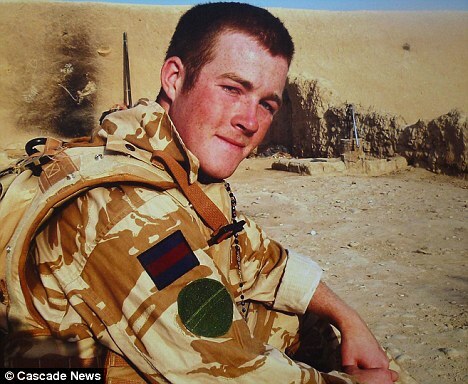 To read the complete story about this tough Marine and his mother click HERE.